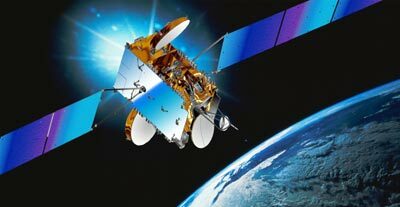 Alcatel Space won in July 2003 a contract for the construction of the Hotbird 7A communications satellite. The order for this new satellite follows the loss of Hotbird 7 during launch in December 2002. In addition to the original specifications, Hotbird 7A's mission has been expanded to provide additional back-up and replacement capacity at Eutelsat's key orbital slot, 13 degrees East. This expanded mission has led to the choice of a larger, more flexible satellite platform than for the original version. Hotbird 7A will be based on Alcatel Space's Spacebus-3000B3 platform. Launch is planned for the autumn of 2005, when the new satellite will join Eutelsat's Hotbird family of satellites co-located at the 13 degree East slot and reaching 100 million houses, and currently broadcasting 676 video channels and 565 audio channels. Equipped with 38 Ku-band transponders of 33 MHz minimum each (end of life), Hotbird 7A will replace Hotbird 1. The other 20 transponders will be available for potential back-up and replacement capacity for the Hot Bird 2, 3 and 4 satellites. Hotbird 7A will be assembled and integrated in the clean rooms at Alcatel Space's Cannes and Toulouse plants in southern France. It will weigh about 4,000 kg at launch, and its solar panels will provide 10 kW of electrical power. Hotbird 7A has a design life of 15 years. Hotbird 7A was renamed Eurobird 9A in February 2009.